02 Aug Rescue Remedy: The Proof is in the Plants! Bach Flower Remedies were developed in 1926 by Edward Bach, MD, a physician, bacteriologist, and homeopath. His thirty-eight Bach Flower remedies each include a specific flower essence that works in a way similar to homeopathy. You can purchase Bach Flower Remedies over the counter to combat many symptoms of PCS and PTSD. However, for the best results, you may wish to visit a trained Bach Flower Practitioner who will develop a customized combination specifically for your symptoms. Such practitioners have more than two years of training and are registered with the Bach Centre as Bach Foundation Registered Practitioners. Some used the letters BFRP after their names. 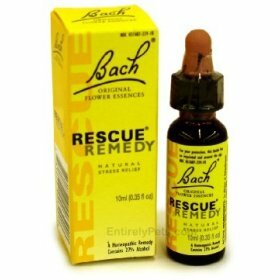 As a Bach Flower Practitioner, I have used Rescue Remedy on my patients. However, I have also used Rescue Remedy on my cats, to revive plants that were clearly dead, as well as on my four fish that were in my aquarium dying, and now on my three Koy fish. I have seen the results with my patients, but when you see results on plants and animals it’s hard to believe it is from the placebo effect.